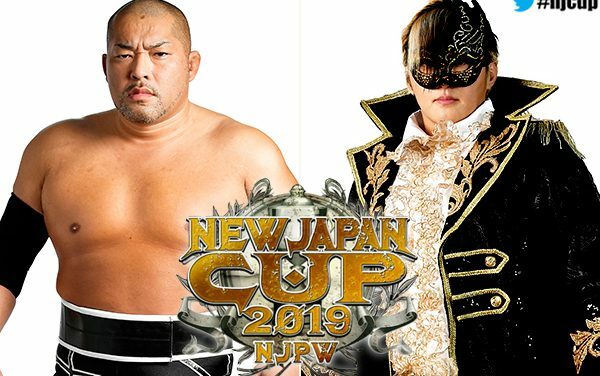 New Japan Cup Night 8 might actually become one of the more divisive nights of the tournament. This was a very good show and one of the better of the whole New Japan Cup tournament thus far. 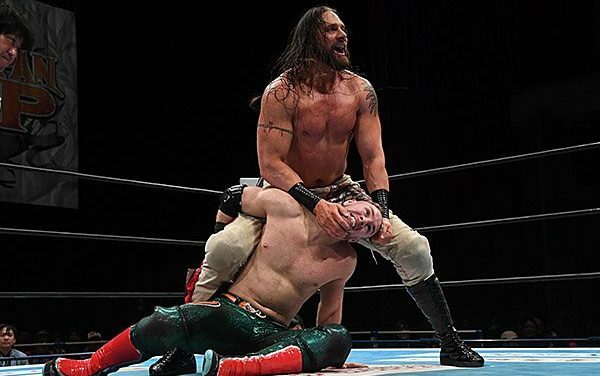 Lance Archer vs. Will Ospreay was an awesome bout that was one of the best matches of the New Japan Cup thus far. 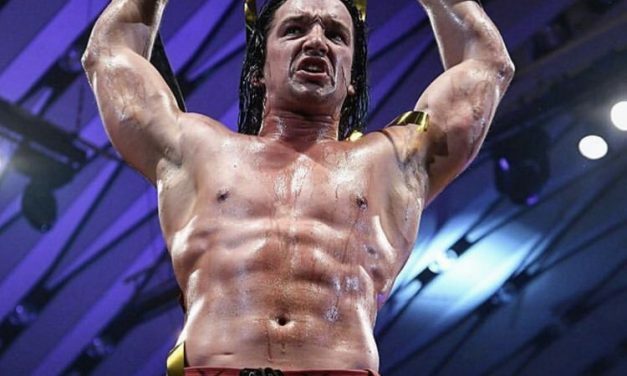 Night 5 of New Japan Cup 2019 was a mixed bag. 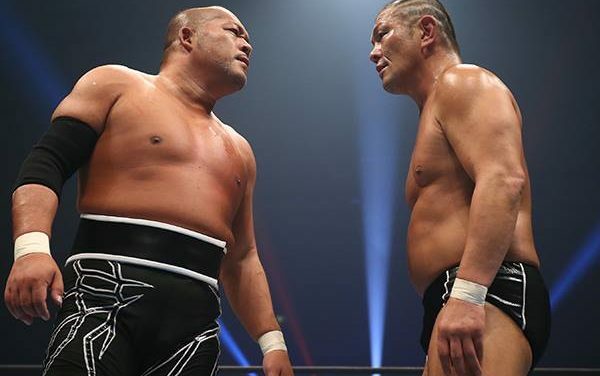 While I enjoyed both matches on some level, only Taichi vs. Ishii is essential viewing. 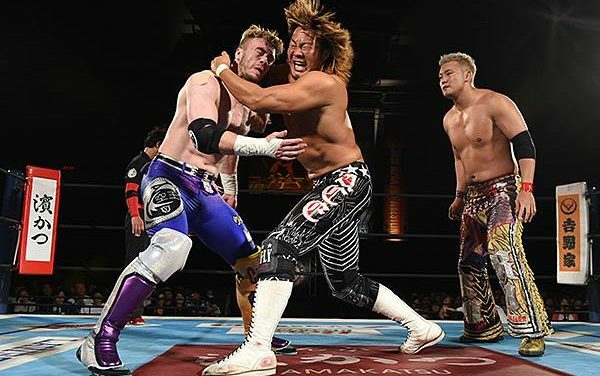 The main event of NJPW’s New Japan Cup Night 4 is well worth checking out, but the rest of the tournament matches weren’t nearly as good. 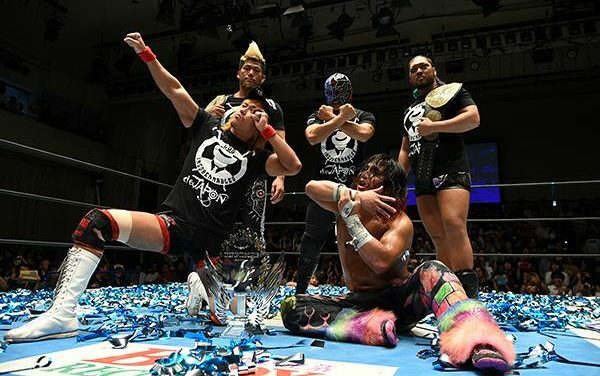 The strongest show of 2019 New Japan Cup tour so far. 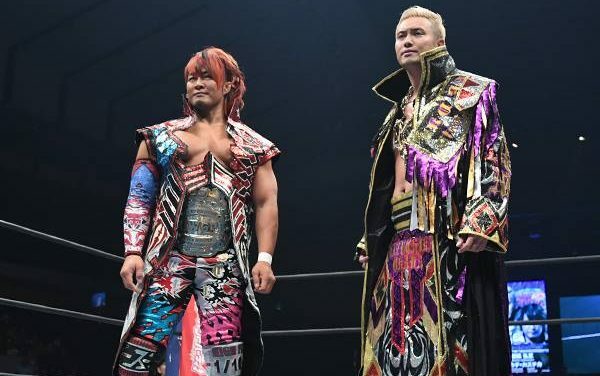 After a very good night one, NJPW’s New Japan Cup 2019 Night 2 was a disappointment. A good first night of New Japan Cup tournament matches with two final matches that are absolutely must-see. 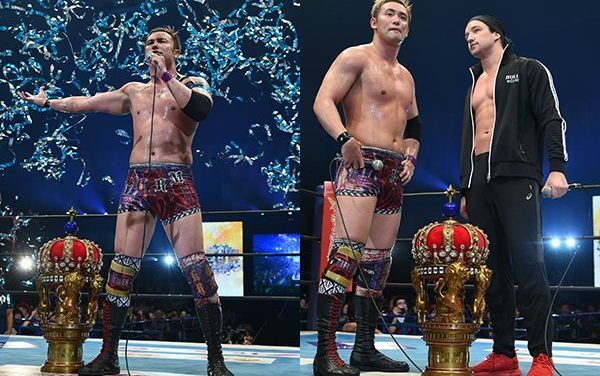 The NJPW 47th Anniversary Show was highlighted by Jay White vs. Will Ospreay and two standout junior matches. Night 2 of Honor Rising 2019 was a pretty consistent show from top to bottom. 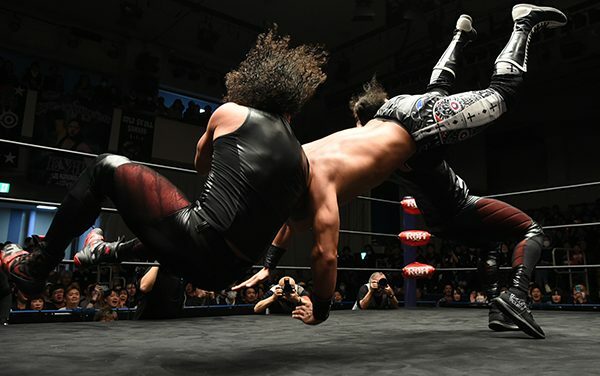 The first night of Honor Rising 2019 was a very solid show from top to bottom. This was the strongest looking card of all of the New Beginning shows, and The New Beginning in Osaka did not disappoint. The last three matches are all worth a watch especially the main event just to see where you sit with it. Nothing bad on this show but the only matches to go out of your way to see would be the two singles matches. 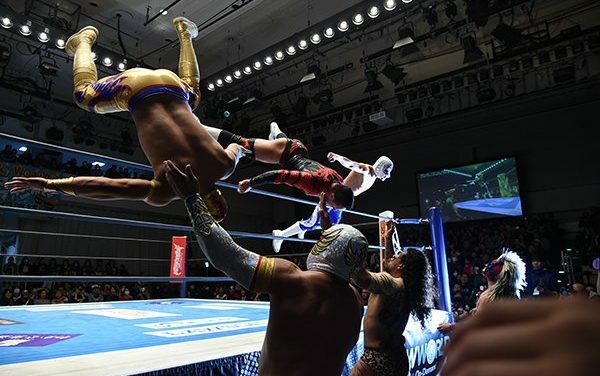 The final night of FantasticaMania 2019 was very fun to watch. Another fun FantasticaMania show in Korakuen Hall that had three great encounters but also three mediocre efforts. 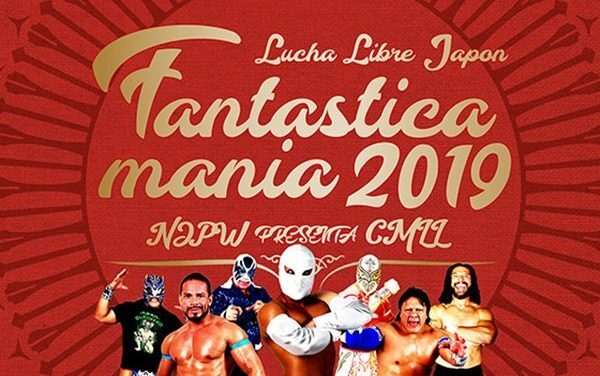 Korakuen Hall means we finally get the good Fantastica Mania stuff. A good ‘translation’ of a standard CMLL show in Arena Mexico. 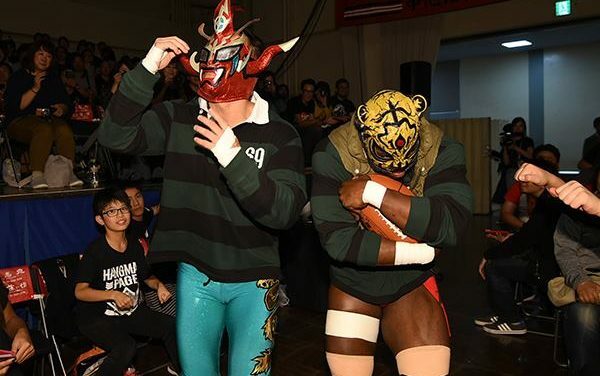 Night 5 was a step above Night 1 in terms of overall quality, with strong showings from Soberano, Dragon Lee, Místico, Atlantis Jr. and the Dinamitas. There’s nothing unmissable here. If you really love lucha or you’re interested in the development of CMLL young stars, check it out. 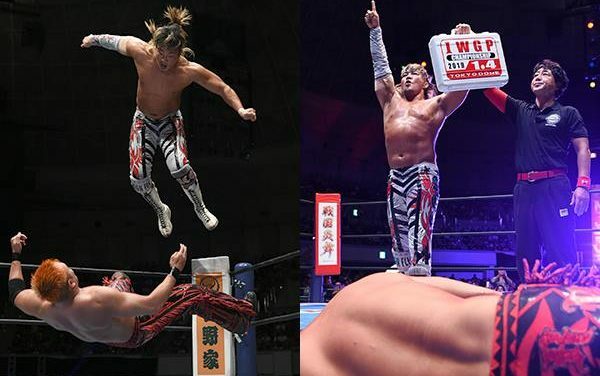 NJPW’s Wrestle Kingdom 13 was an A+ show. Five excellent matches, a couple of which may prove to be match of the year contenders. 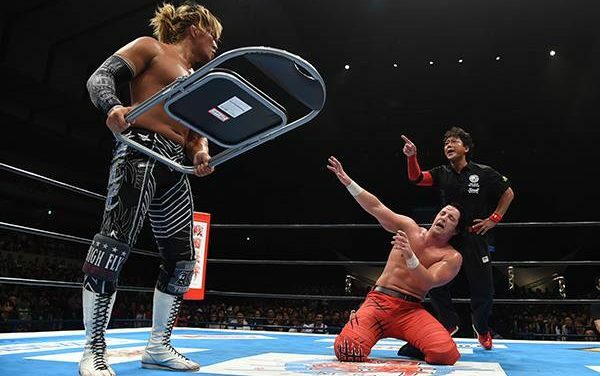 The final NJPW show of 2018 continued the build to Wrestle Kingdom 13 but featured a few good matches and one of the best tag matches of the year. 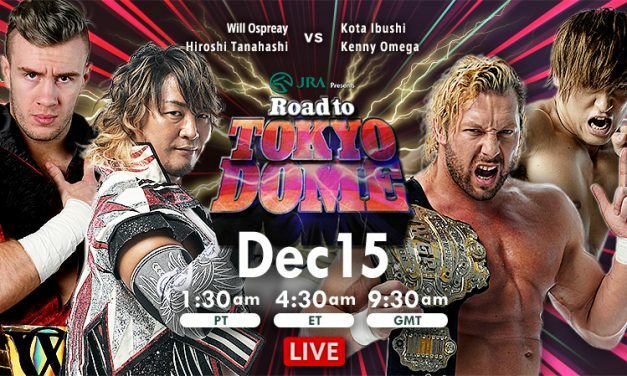 The bar for Wrestle Kingdom 13 is already high and this Road to Tokyo Dome show did little to get me more excited. A better World Tag League then anyone expected however still not close to the G1 and Best of the Super Juniors but it doesn’t need to be. A pretty nothing show that built to an uninspired final. A pretty enjoyable show, there have been better matches on the World Tag League 2018 tour but this one still laps the last few shows by miles. Last two matches are very good, otherwise nothing all that must watch. A much better show compared to the dismal Osaka outing. Abort, Abort! Do not watch this show! Just watch the final two World Tag League matches, the main event is pretty good but also entirely skippable. If you have the two and a half hours, watch the whole show, if you don’t; the Tenzan moonsault, the Chuckie angle and the last three league matches are all worth watching. Night 9 of the World Tag League 2018 was a bit of a rough watch, it picks up in the last three matches but a completely skipable show. 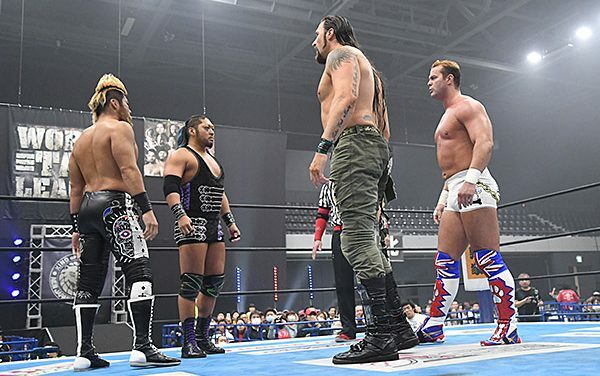 A World Tag League 2018 night that fell victim to the good teams of the tournament facing off against the weaker teams. A decent yet unspectacular show, which completely turned around after the last two matches and those are the only ‘must watch’ matches of the show. A very strong start but I’m afraid that was the peak and the quality quickly plummeted. Just watch the first match. 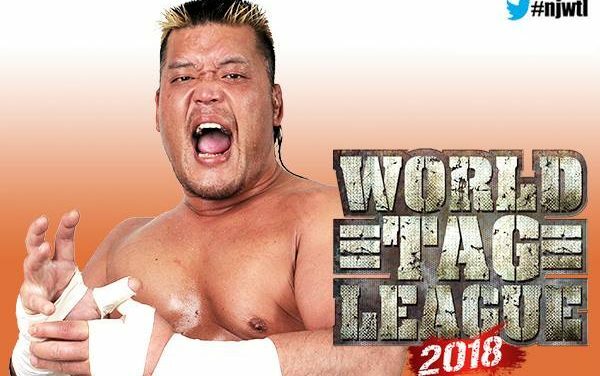 Night 5 was another pretty good World Tag League 2018 show with some good, fun wrestling. Best night of tournament matches so far. 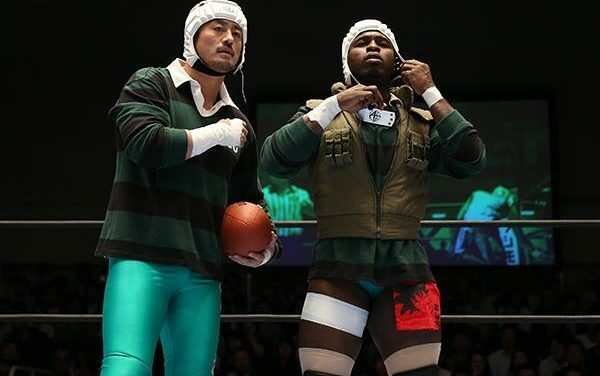 If you have to watch a match on this World Tag League show, the G.O.D/Finjuice match is the only one worth your time. 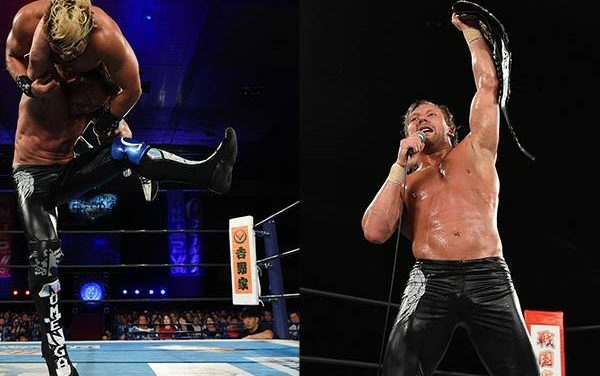 NJPW’s Winter Classic—the World Tag League—rolls on with Night 2 featuring EVIL & SANADA taking on Michael Elgin & Jeff Cobb in our main event. 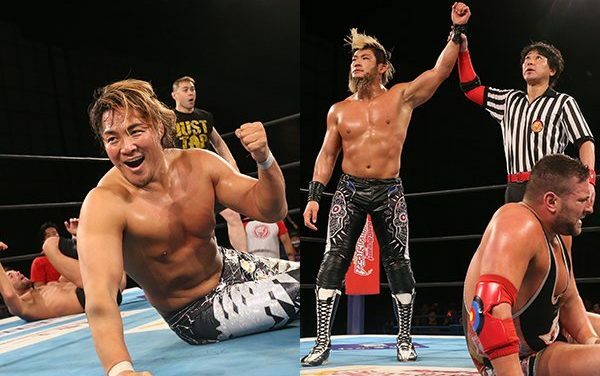 Night one of NJPW’s World Tag League 2018 was pretty enjoyable show despite the lack of great matches. NJPW Power Struggle 2018 wasn’t a terrible show, and it moved at a good pace, but not much was essential watching. A pretty skippable show on what has been a forgettable tour thus far. The Road to Power Struggle runs through the Tottori Industrial Gymnasium as the Super Junior Tag League rolls on! There’s really no reason to watch this Road to Power Struggle 2018 show. Roppongi 3k and Ishimori/Eagles meet in a fun Super Junior Tag League main event on Night 4 of the Road to Power Struggle 2018 tour. We are in the Green Arena in Hiroshima as four teams do Super Junior Tag League battle during the Road to Power Struggle tour. 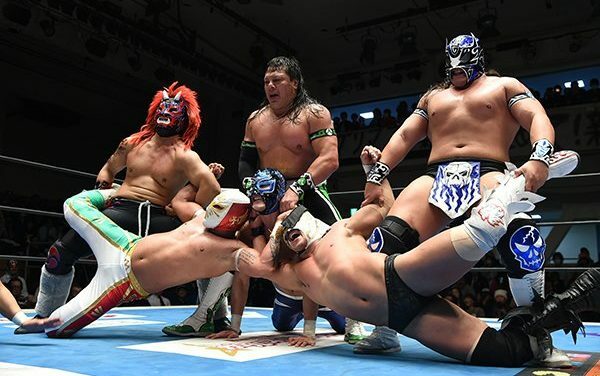 After a stellar opening night of the Super Junior Tag League tournament, things ground to a halt. 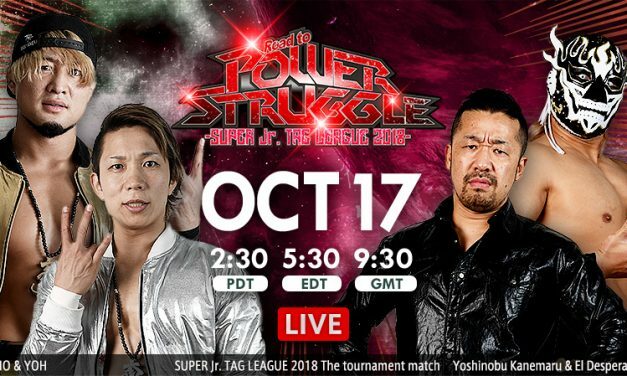 The Super Junior Tag League kicks off in a big way on the first night of NJPW’s Road to Power Struggle 2018 tour. 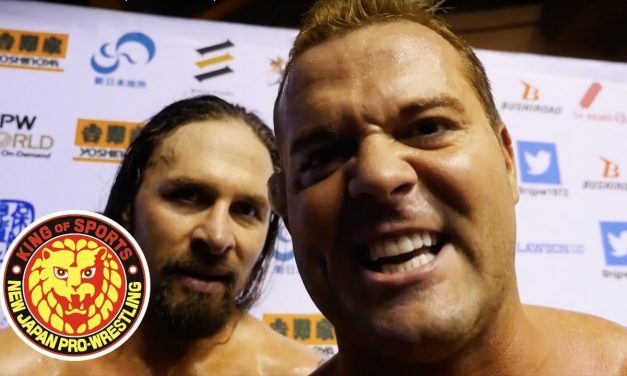 Suit and August review a wild, newsworthy and company-altering NJPW King of Pro-Wrestling 2018 show from Tokyo’s Ryōgoku Kokugikan. Fighting Spirit Unleashed was a superb top-to-bottom show highlighted by a handful of stellar tag matches and Ospreay vs. Scurll. After two somewhat lackluster Destruction shows, we are rewarded with NJPW Destruction in Kobe 2018, a hot wrestling event from beginning to end. 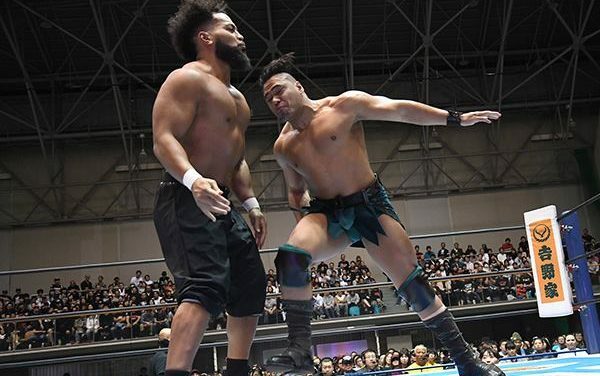 Despite the fun undercard, NJPW Destruction in Beppu 2018 was a largely disappointing NJPW show. 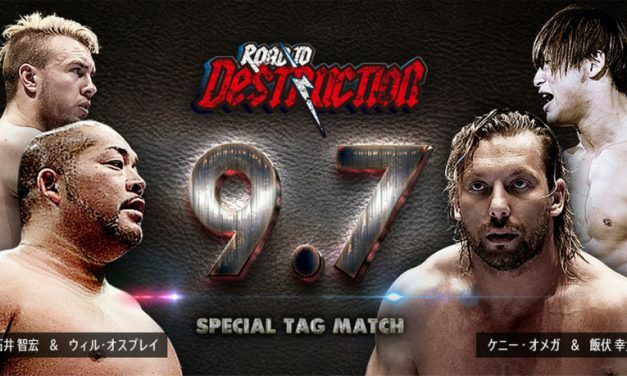 NJPW Destruction in Hiroshima 2018 featured a very skippable undercard but a must-watch main event between two of the very best in wrestling today. This was a show with inoffensive, yet bland, multi-man matches but the singles match and main event took this Road to Destruction show to another level. 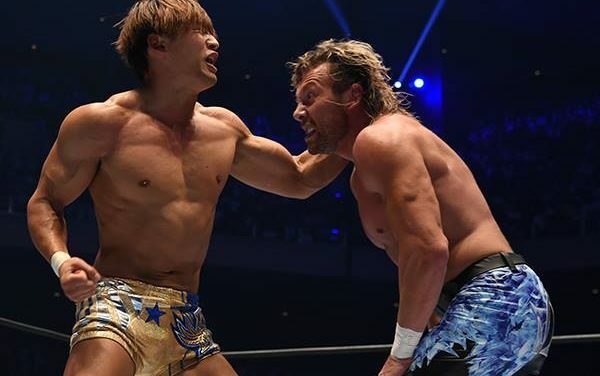 Skip everything else and go straight to the G1 Climax 28 Final for an instant classic that will surely go down as one of the very best matches of 2018. What an incredible night of action in a sold-out Budokan Hall to cap off what has been an all-time block in G1 Climax history. 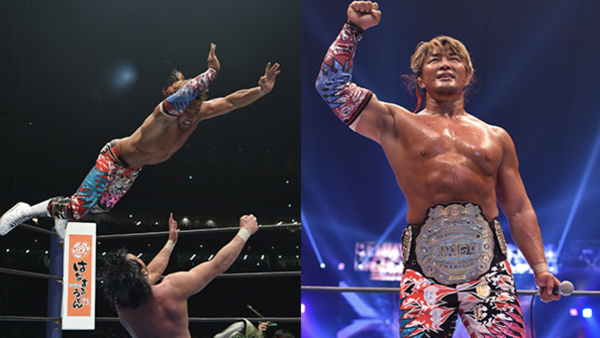 Another masterpiece from Tanahashi & Okada proves to be one of their most important matches ever as Tanahashi punches his ticket to the G1 Climax 28 Finals. 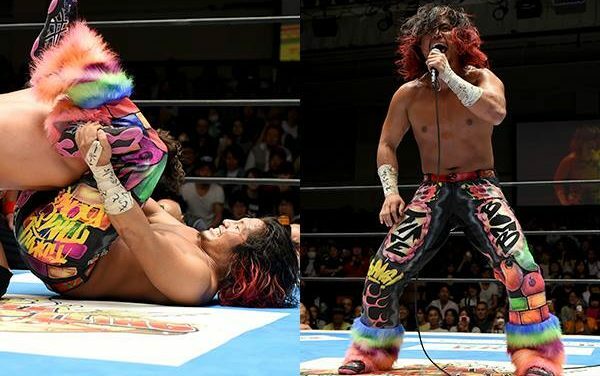 Night 16 of G1 Climax 28 featured no elite tier matches, but some incredibly fun stuff on the undercard, and a main event that delivered. 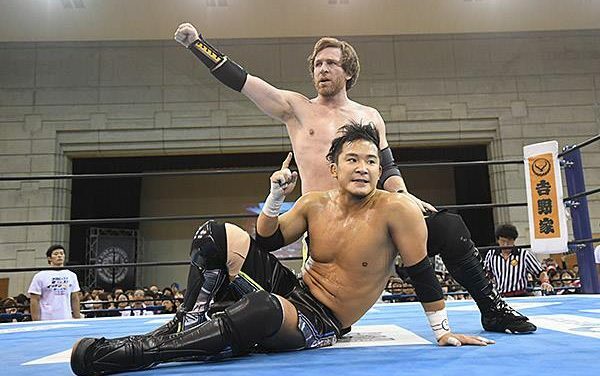 Overall this was an above-average G1 Climax 28, especially on the sliding A block scale and I would highly recommend Page vs. Suzuki, which was excellent. 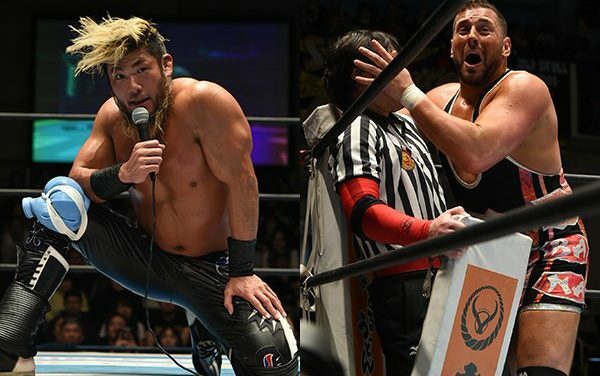 The B Block is nearing its conclusion and G1 Climax 28 Night 14 could play a huge role in determining the block winner. 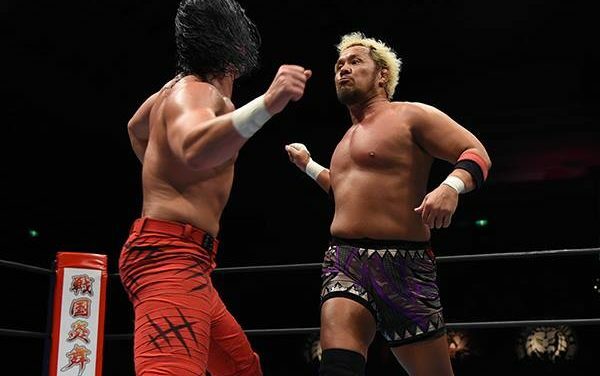 Okada and Suzuki square off in the main event of G1 Climax 28 Night 13 — would Okada/Suzuki once again go to a 30-minute draw? 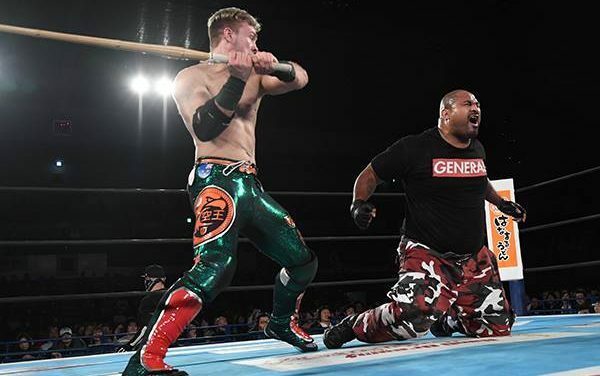 Night 12 of the G1 Climax 28 was another strong night for the B Block. This show had three very good-great matches. 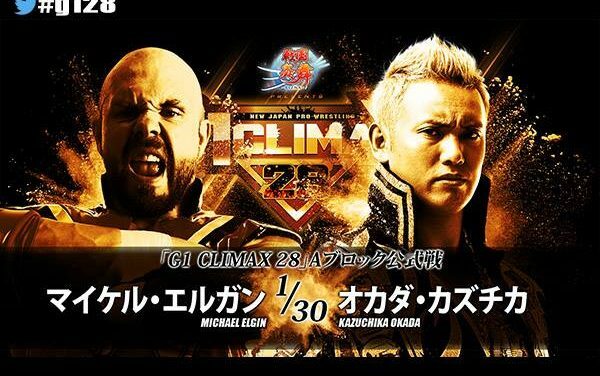 Okada vs. Elgin really saved G1 Climax 28 Night 11. I can’t recommend this one as a whole, but definitely go out of your way to watch the main event. 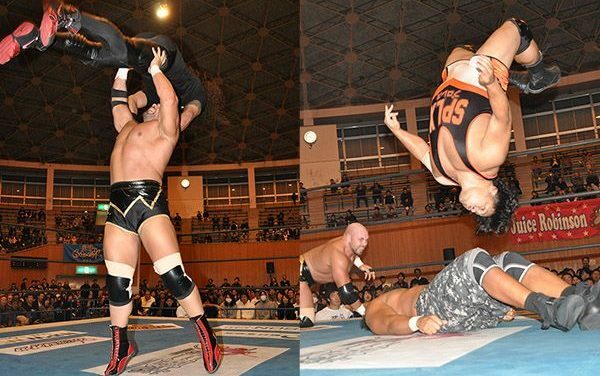 The B block had another night of action before a hot crowd in Aichi. 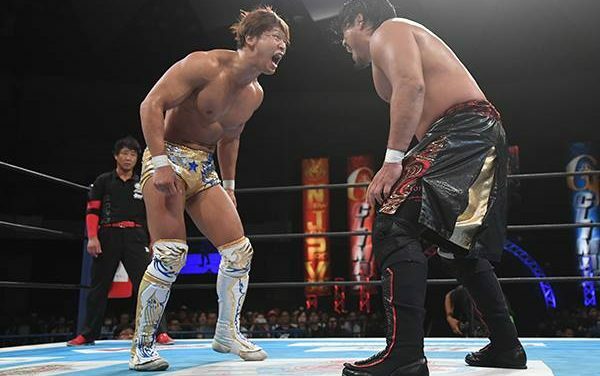 The potential is clear for G1 Climax 28 Night 10 to deliver at least one classic. Did it deliver? Night 8 was the weakest B Block show so far, but G1 Climax 28 Night 8 was still a very strong event overall speaking to the quality of talent in the block. 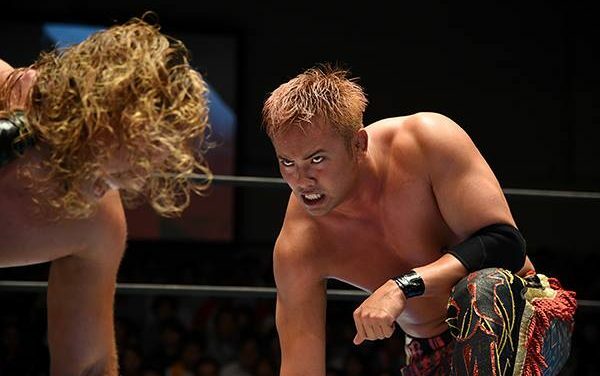 NJPW G1 Climax 28 Night 9 was an easy watch, but nothing on it was necessary viewing except maybe Okada’s trolling and a really good Page/EVIL match. 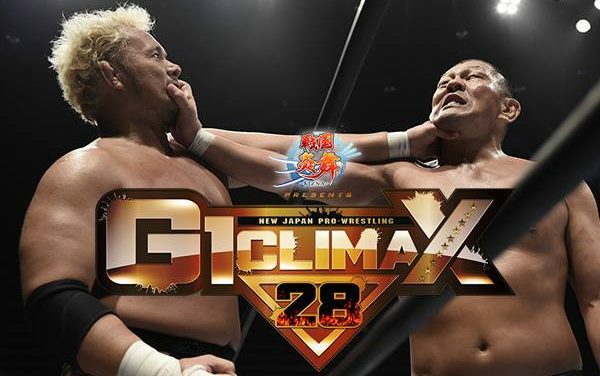 Even though the B Block continues to be the superior of the two blocks, G1 Climax 28 Night 7 proved that not everything is doom and gloom within the A Block. 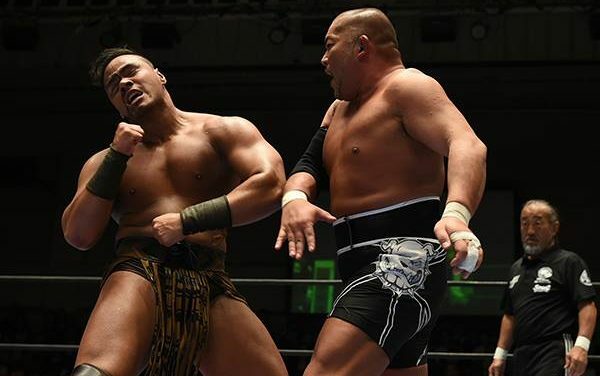 Go out of your way to watch Ishii/Goto, and go out of your way to avoid Omega/Tonga from G1 Climax 28 Night 6. Skip the first match and enjoy the rest of the great G1 Climax 28 Night 4 show. 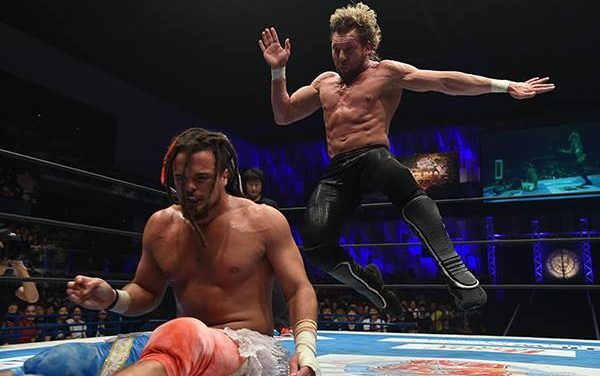 An analytical dive into the twenty fierce warriors of NJPW’s G1 Climax 28. Numbers, stats and details that may shape the future of this year’s tourney. The G1 Climax 28 A Block continues to be disappointing. The shows are not bad, but we have such higher expectations then we are getting. 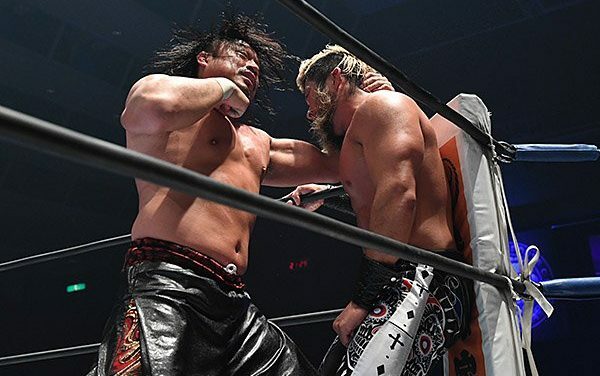 After the G1 Climax 28 got off to a less than stellar start on Night 1 with the A Block, the B Block delivered a really great show on Night 2. 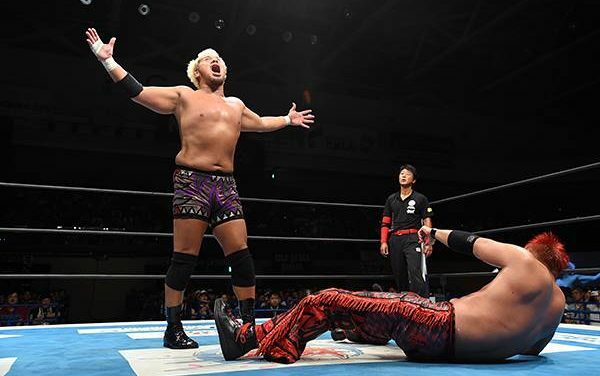 One night into the G1 Climax 28 and the only match that wasn’t hovering around four stars was a DQ finish to advance a storyline. Excellent start! 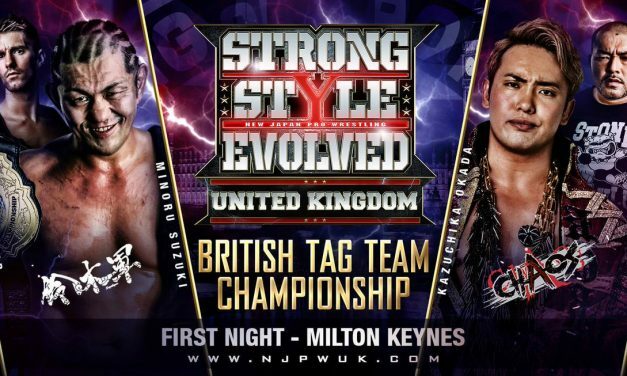 RevPro delivered a brilliant weekend of New Japan-flavoured action capped off by an awesome night 2 of Strong Style Evolved UK. 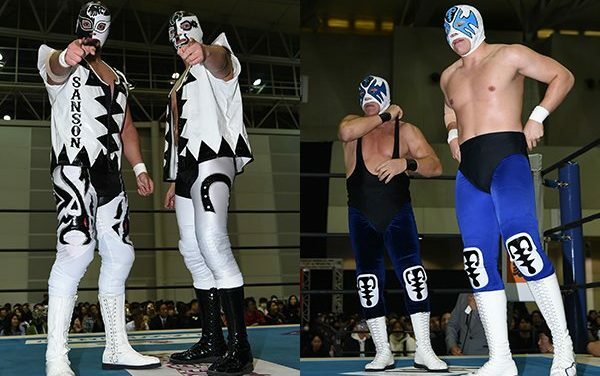 NJPW brought the goods with G1 Special in San Francisco. A solid top-to-bottom show with three or four must-see matches. 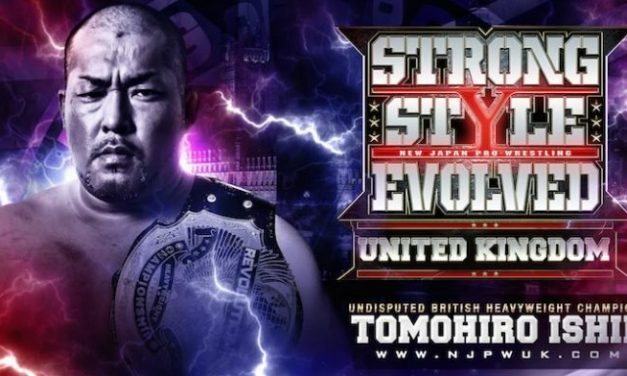 Strong Style Evolved UK was a perfectly solid show in a new town. Before the main event the show had a house show feel, but the tag main was great. 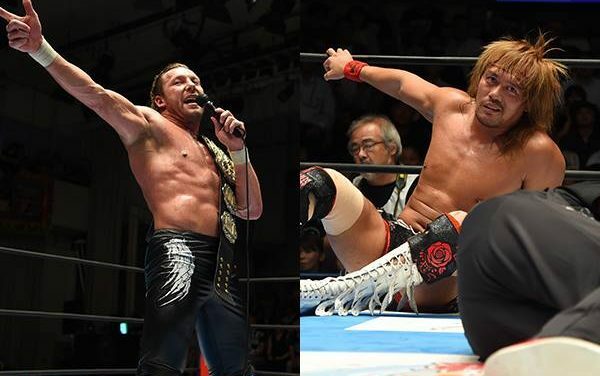 The culmination of Kenny Omega’s story. 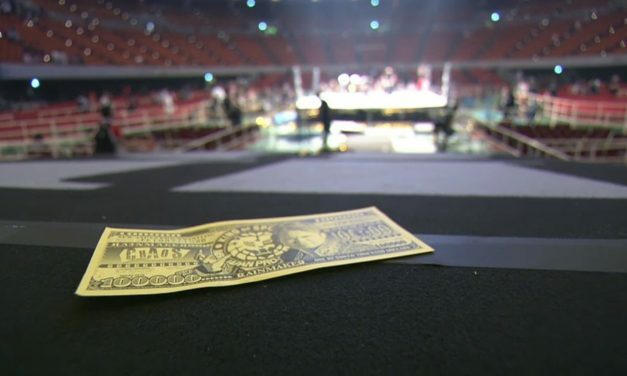 The end of Kazuchika Okada’s run. One of the best tag team matches ever. 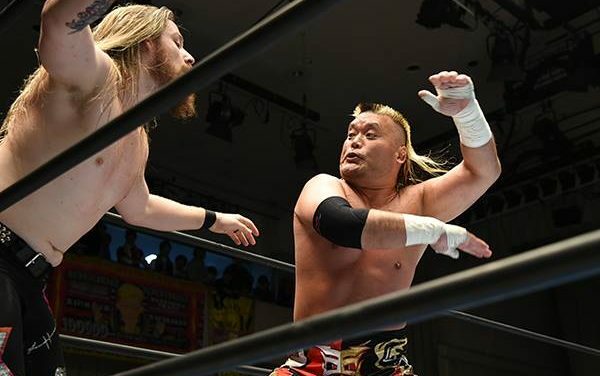 A street fight between Chris Jericho and Tetsuya Naito. It’s safe to say NJPW Dominion 6.9 in Osaka-Jo Hall was one of the best wrestling shows ever. The main event is a must watch, Match of the Year contender with some crazy bumps and a great story to cap off a really good Best of the Super Juniors tournament. Be sure to watch the finals, and the Chaos/Suzuki-gun match if you have time. 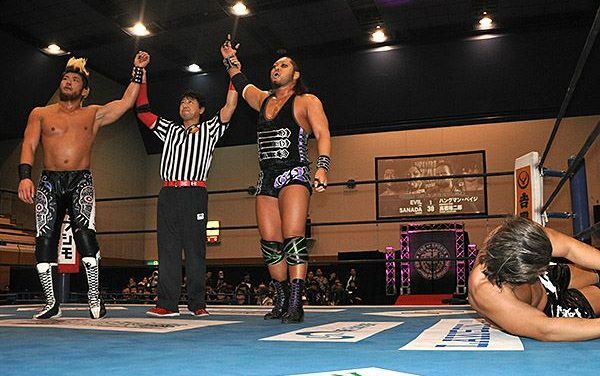 Top to bottom, Best of the Super Juniors Night 13 was a fantastic show, as you’d expect with eight singles matches. Dragon Lee v Desperado is must-watch, Ospreay v Flip was #actuallygood, and there wasn’t a bad match on the card. The penultimate night for the Best of the Super Juniors B Block sees stars emerge while favorites begin pushing through the muck. Also, two standout matches that you should go out of your way to see. 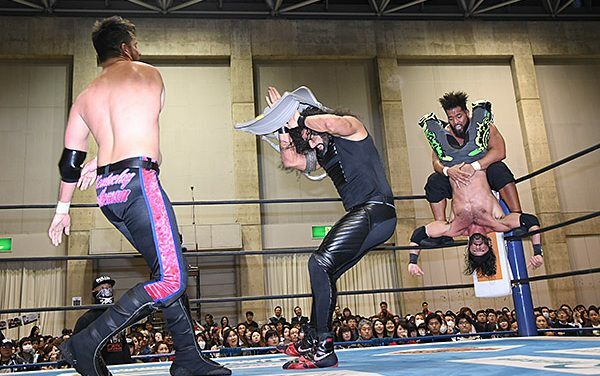 Nothing must-see on NJPW Best of the Super Juniors Night 10, but everything is an easy watch. 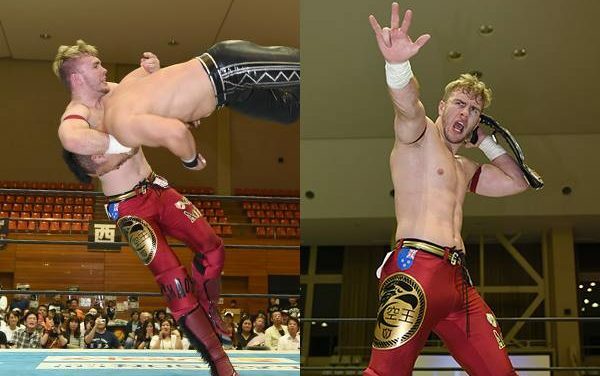 Ospreay continues his awesome run with a great main event against Kanemaru on Night 9 of NJPW’s Best of the Super Juniors 25. Three matches rated four stars or higher? 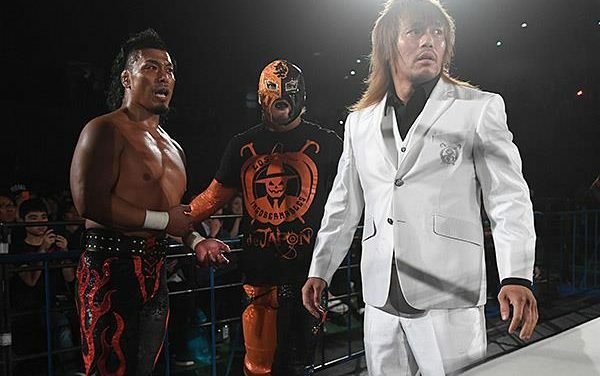 Night 8 of NJPW’s Best of the Super Juniors 25 may have been the best yet. They can’t all be winners. 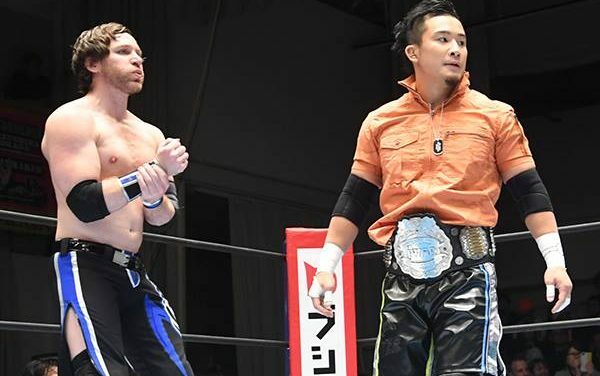 Some fun stuff on NJPW Best of the Super Juniors 25 Night 7 but an ultimately disappointing show from top to bottom. 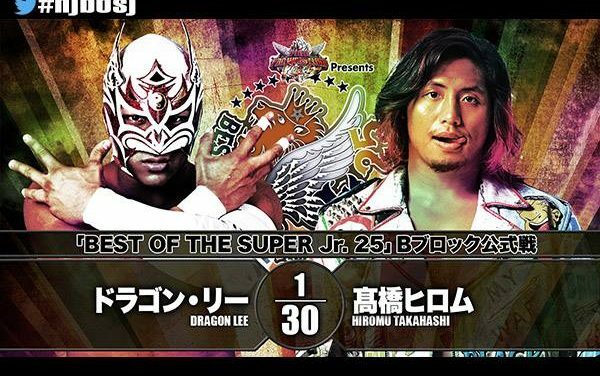 If you’re behind, the main event from NJPW Best of the Super Juniors 25 Night 6 is probably the only match you’ll want to watch, and even then it’s nothing you haven’t seen before from those two. YOH and Ospreay make magic together. 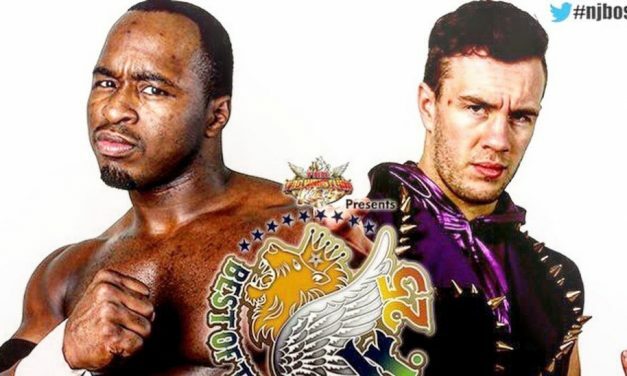 Night 3 of NJPW’s Best of the Super Juniors 25 was a worthy single-cam, non-commentary show with a great main event between Will Ospreay and ACH. 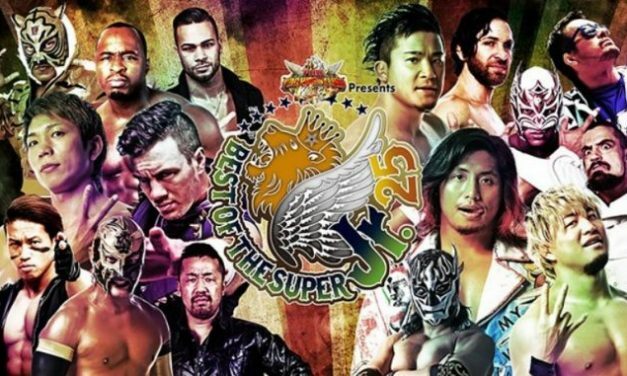 If you’re short on time watch the opener, SHO vs. Dragon Lee, and Taguchi vs Desperado from NJPW Best of the Super Juniros 25 Night 2. If you have time, watch the whole show, because it was great. 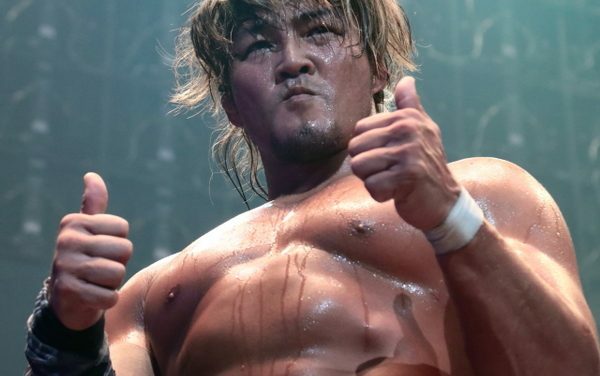 Huge thumbs up for Night One of NJPW Best of the Super Juniors 2018. This show ruled. LIONS GATE PROJECT 12 is a short, easy watch that was a great showcase for the Young Lions and gave the older boys something more meaningful to do rather than go through the motions on a Road To show. 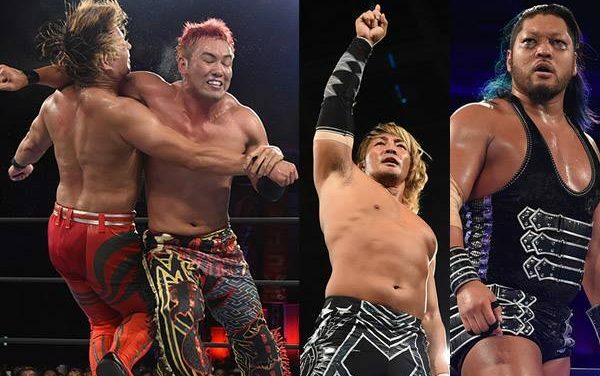 NJPW wraps up its Wrestling Dontaku 2018 tour in Fukuoka with the latest, and possibly final, chapter in one of the greatest rivalries of all time between Hiroshi Tanahashi and Kazuchika Okada. 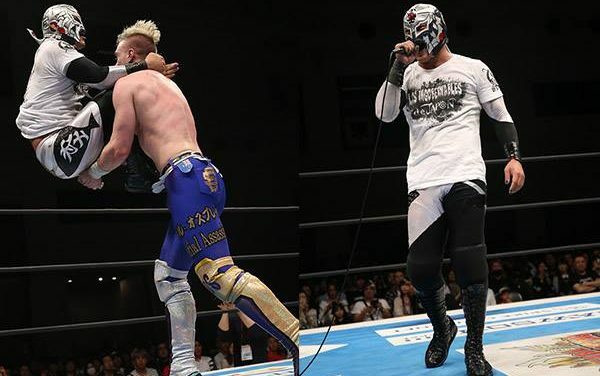 Will Ospreay continues his quest to become the new ace of juniors against KUSHIDA, and the BULLET CLUB explodes. The top 3 matches from NJPW Wrestling Dontaku 2018 were all quite good. 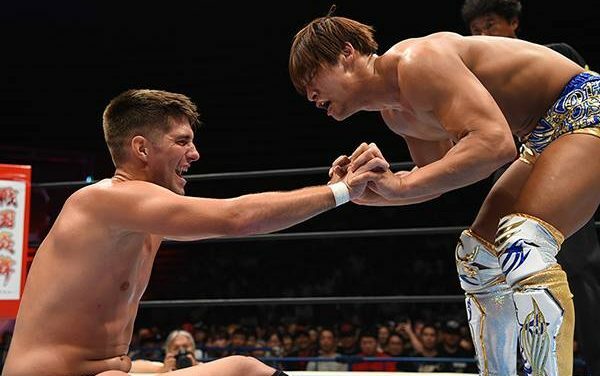 The main event was the only truly great match but Cody/Ibushi had elements that I’m sure will contribute to the larger story later on, so I would check that out too if you have time. 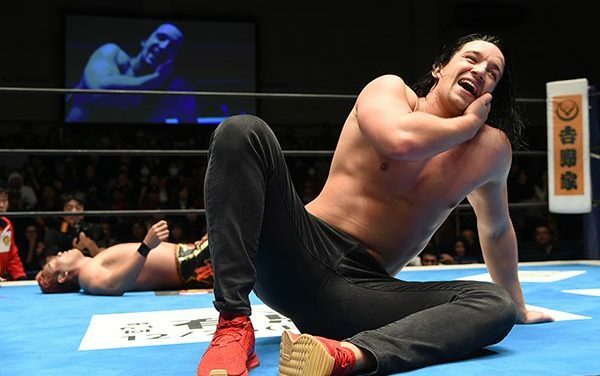 NJPW Wrestling Hinokuni 2018 wasn’t a bad show, but it wasn’t that memorable either, aside from the result of the main event. 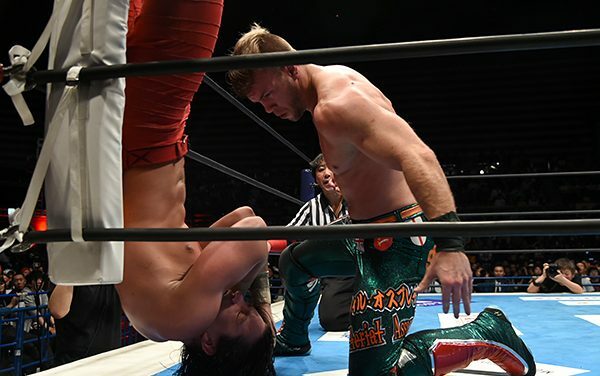 There really wasn’t much to NJPW Road to Wrestling Dontaku 2018: Night 12 until the final two matches. 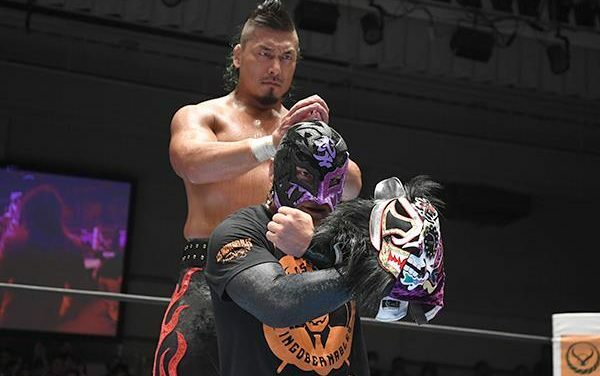 Goto/Juice absolutely delivered and the main event was a very good contest that served as a nice preview for the two big title matches on May 4th in Fukuoka. Aside from the abomination that was Roppongi 3K vs. Suzuki-gun, this NJPW Road to Wrestling Dontaku 2018 show was a very entertaining and featured two must-see matches.